Steam Heaters are heat exchangers in which, one of the media is steam being condensed while the other is a process fluid / Gas being heated. 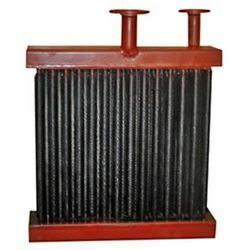 Steam heater is specially designed to produce hot Fluid/ Gas using steam. These are used in various industries for heating continuous flow of Fluid/ Gas to required temperature by using steam as heating media. Further, these can also be made in higher capacities as per the specifications detailed by the clients. Being a customer focused firm, we strives to offer a range of Steam Heaters. All our products are developed as per the guidance of experienced quality inspectors as per international quality standards. To meet the specific needs of the clients, we offer our heaters in different sizes, designs and technical specifications. Moreover, patrons can avail these heaters from us by paying via variegated simple modes. We have been successful in catering to the requirements of our esteem clients by offering quality Industrial Steam Heaters. 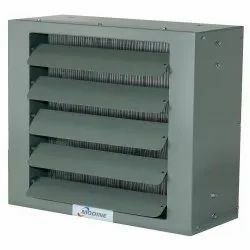 These Industrial Steam Heater are manufactured by the experts using cutting-edge technology. 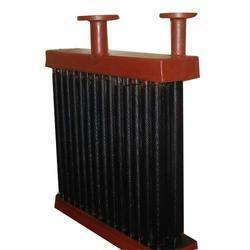 The offered Industrial Steam Heater find applications in chemicals, textiles and plastic and rubber industries. Moreover, our esteemed clients can avail these heaters at market-leading prices. Innovation is our forte and we strive to design and develop a precision engineered range of Steam Heaters. 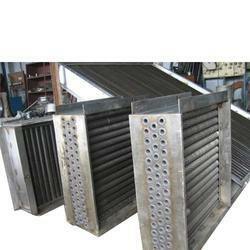 These Steam Heaters are widely used for heating and agitating liquid in varied industries. Our products are stringently tested by the quality auditors of our firm on varied parameters. 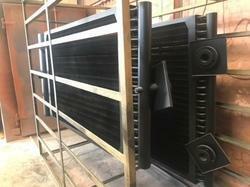 Moreover, these Steam Heaters products can be availed by our clients at market leading prices.